While a picture is worth a thousand words, when it comes to the internet, words are a crucial part of getting your message across. Copywriting is a handy and effective tool to do just that but tends to be overlooked when it comes to web design. Interest: catch the attention of the usually inattentive digital user. Inform: communicate the aspects of your product or service in an uncomplicated way. Lead: steer users to the relevant pages or sections of information. Express: represent the character of your brand, improving the overall understanding of your offer. Influence: formulate rational or emotional responses that convince users to buy. Optimise: generate visibility with SEO (search engine optimisation). People read differently online and if they aren’t interested straight away, have to search intensively to find what they’re looking for, or don’t recognize your brand, they quickly move on to the next website. So how do you get your message across without losing your user’s interest? Use headings: headings and subheadings can help users identify segments that apply to them, without reading through all the information on the page. Keep paragraphs short: nobody likes reading long paragraphs when looking for a specific piece of information. It’s best to keep paragraphs and sentences short and straight to the point. Highlight the essential keywords: since your user won’t be reading every word, make sure to capture their attention by highlighting important keywords and phrases. Keep it related: Make sure your content is relevant and to-the-point. Allow for clear navigation to more detailed pages if needed. Writing compelling web copy demands meticulous thought and planning. Don’t risk the success of your website by disregarding your most powerful tool. 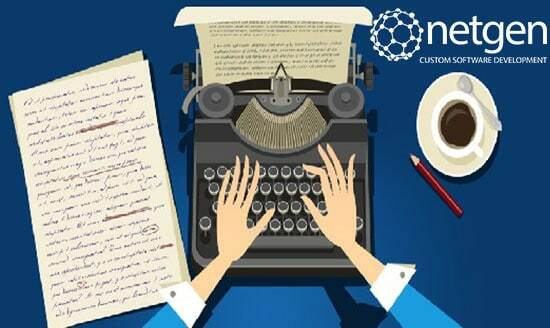 Speak to the experts at Netgen about how you can incorporate copywriting into your web design services in Cape Town.